The number to be counted had just leveled up in our scam list of binary options trading software. We are counting iRobot in among the scam software we have uncovered till date. Well, we got to admit that we were almost lured by its professional looking website design. 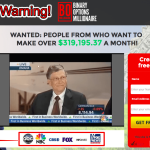 However, in the end we came to conclude that the iBinaryOptionRobot is no any decent thing of trading, but just another well deceptive scam software that shouts of quick-big-cash. No doubt that the scammers are becoming advanced day by day as the Technology gets cheaper. We are afraid, in the coming days, how would an ordinary person deal with this kind of lousy stuff. Eventually, we did our best to break down the bricks and exposing the truth behind the beautifully painted wall. So have some time to read this iRobot review, if you are thinking to try out this system. Beware, it does not look like its real status. We have mentioned earlier, iRobot is smartly created scam software that can fool anyone who comes across to it. 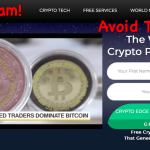 Especially, the amateur traders who possess very less knowledge on the binary options trading industry are more vulnerable to be scammed by the online fishers. You are inside the safer place if you had enough experienced in the field and understood enough of such kind of fraud systems. But, if you are new in the yard, you better watch your steps before you move forward. 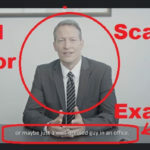 Well, as always, we are here to help to disclose all kind scam software that comes to exist in the binary options industry. Now, let’s derive the factors that convinced us to call this iRobot software as a scam and expose them to you all. What Made Us to Think iRobot System is a Scam? 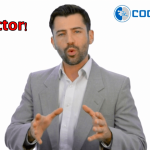 There are some common points about every scam software of binary options. One of the most common we got to see is the way they try to showcase how lucrative is their system. And, most of the time, they cross the limits. Yeah, every individual engaged to binary options has an only one goal. That is to make enough money for a better livelihood. We are engaged in trading in binary options because we are behind the cash buckets. That’s the most important factor which is used by many scammers to manipulate people. They strike at this factor the very first time with their mesmerizing money-making opportunities. But, always keep in mind the fact that binary options is no gambling, no jackpot, not any quick money-making platform. It needs efforts to generate enough honey from this beehive. If anyone claims to make you a millionaire within months, you are warned to be scammed. Another big red flag we have countered on our way when we get to find that any reputed investment firm does not verify the iRobot. Neither it is licensed by any regulated system like CYSEC, CFTC, and ASIC. An automated software, whether for auto trade or a broker service, should be licensed and connected to at least one regulated financial firm. If any software failed to achieve a trading license, you are suggested to stay away from that no matter how great the system looks. Just like any other typical online scam website in the binary options, iRobot too has a beautifully designed customer support system and was inactive since its time creation. The client support system was only created to make the website appearing better, not with an intention to help out their clients in real-time. We did test the responsiveness of the system but failed to reach them or hear from them even after trying several times. We have dropped by the available brokerage section. According to iRobot team, they had teamed up with only the regulated and CySEC/FCA licensed brokers. They even listed out some of their suggested broker services that caught our attention. They seemed to be falsely added the regulated brokers such as 24Options, Banc De Binary, etc. The regulated brokerage services has no connection with the iRobot. This one is not so common in most of the fraud tools. Many scammers seemed to be missing this features, but iRobot software got it right. That the on upside of this tool, and that way it might have already fooled many newbies and stealth thousands of dollars. Of course, it looks much more professional, but if you take a closer look and examine it precisely, the ugly truth is right in front of you. The Frequently Asked Questions section consists a limited items, and all of them are fabricated. The real FAQ should be user made, but not a pre-scripted question and answers. In this section, you will find nothing useful for your trades. There are few questions regarding only the iRobot system and its features that should have explained via promo video. This FAQ was created not to feed user concerns, but to make the site look better and to promote the system features. 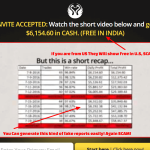 This another scam trick played by the man behind iRobot.Generally a free demo account must be available at no cost to trade with. Some legitimate software provide demo account to help new traders in sharpening trading skill alongside proving their authenticity in auto trading service. However, iRobot too did integrated the feature but that’s just for a show. In reality, a trader must fund for the live account with a required amount before he switch to the free demo account. Hence, it is not really a free account as they said. Conclusion – iRobot System does not seems to be legit! More to include, no matter how hard they tried to look best and professional, they still leave one or other clue that is beneficial in identifying their fraudulent activity. A an additional example, in the iRobot official website there was no presentation video which a professional trading system must contain. And, their screened testimonials too are all fake, full of lies. Eventually, all these above mentioned factors points to only one thing, the scam. I was wondering if BinaryOptionRobot.com is trusted like BinBotPro. Also if you ever used Dinero Libre as a Broker. Thank you for all the help. Truly a blessing. Dinero Libre is a good broker. Please I will like to know a very good Binary Auto Trader.